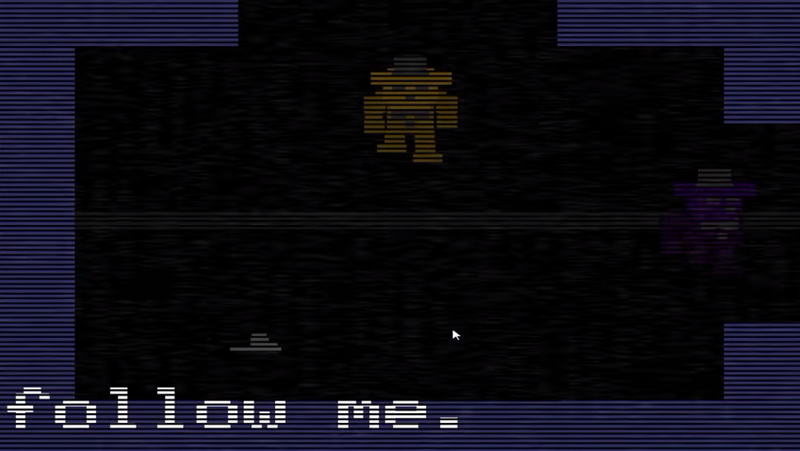 Shadow Freddy in ‘Follow Me’ is the Puppet. Shadow Freddy in Follow Me is the Puppet leading the spirits to Purple Guy. In a similar fashion to how he did in Save Them. Except this time, he’s not in his Puppet form. He’s taking a ghost form of Shadow Freddy. The Freddy Files says that Shadow Freddy is trying to lead you to the killer in the saferoom. Although it’s in a theory section, the line, itself, isn’t written out as a theory. It’s written out as proof for a theory. If it was a theory, it’d be worded as a theory by saying “Theorists believe” or something along the lines of that. So what’s happening is that Shadow Freddy is helping the spirits by leading them to the Purple Guy, so he can dismantle them, and get them out of their suits. Both Save Them and Follow Me have something in common. You’re an animatronic being led by another “animatronic” giving you orders while getting you to follow them, and at some point you end up getting got by Purple Guy. 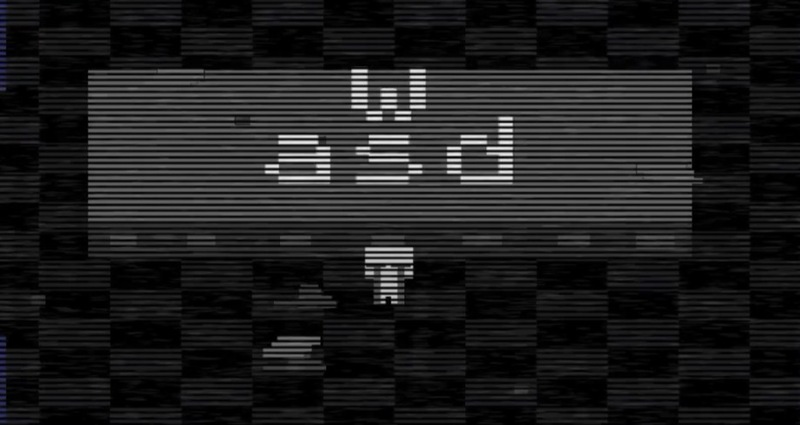 I think there’s a reason for why this happens in the very next game after FNaF2, and in this manner. The reason why is because this is the Puppet leading you in both minigames. The Puppet is helping the kids. Just like the Puppet does. And like he tries to do in Save Them. In Save Them, he gets Freddy to follow him. In Follow Me, he starts off with Freddy. Considering that Withered Freddy and Classic Freddy would be possessed by the same soul (the Classics are just overhauled Withereds), then this wouldn’t be the first time he’d been led by the Puppet. That’s all that Shadow Freddy is. A purple Golden Freddy suit. 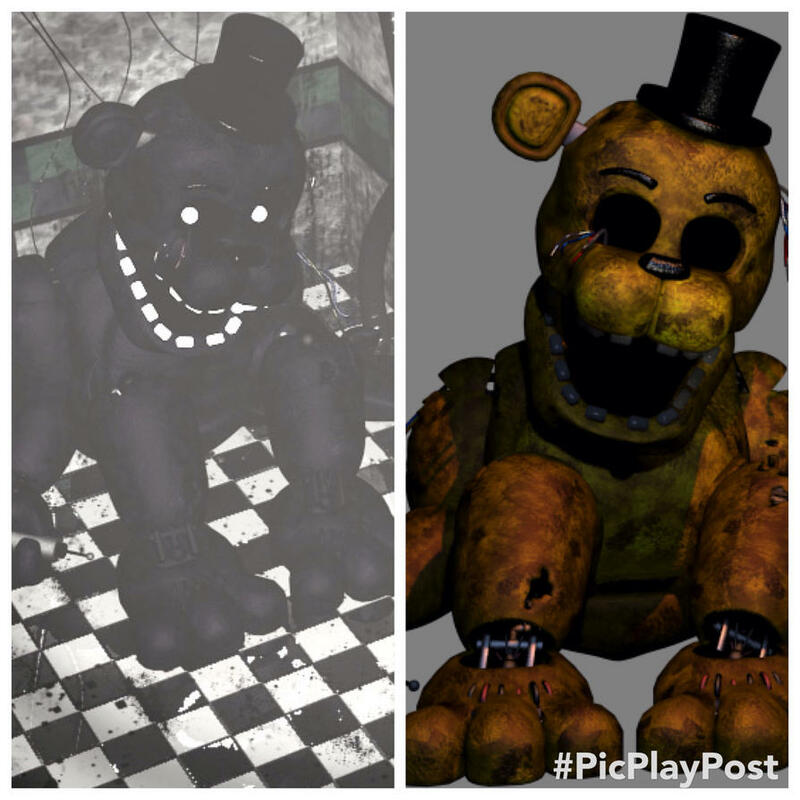 That’s not to say that Shadow Freddy exists as a suit, but his existence is just to be a recolor of Golden Freddy. Another thing to point out is that he’s PURPLE. Which hints at it having a connection to Purple Guy. On Night 6 of FNaF2, Phone Guy says a yellow suit in the back was “used”. On that same Night, Golden Freddy, a yellow suit, is active. This would imply that Golden Freddy was the suit used by Purple Guy. 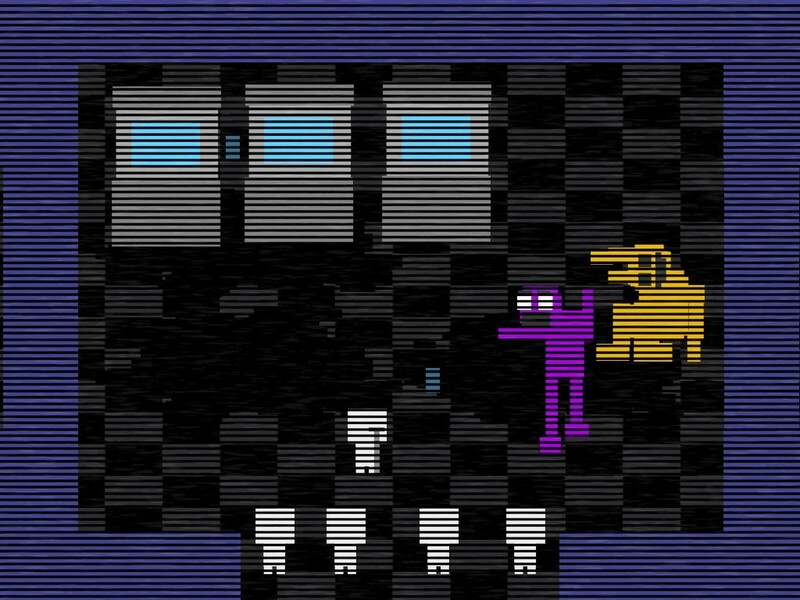 That’s why Shadow Freddy is literally a purple colored Shadow Freddy sitting in the backroom. To represent that that’s the suit PG used, and that’s what Shadow Freddy is all about. Even though Purple Guy also used SpringBonnie at some point, the reason for Shadow Freddy being what the Puppet is masquerading as in Follow Me is because it’s something the spirits would find familiar. Being lured by a suit. 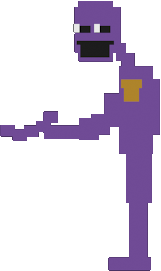 The suit is actually purple this time, and once it reaches the “secret” room, Purple Guy runs out and dismantles them. In Follow Me, he’s leading them to the saferoom for the specific purpose of being dismantled by PG. The Puppet wouldn’t need to lure them to the saferoom, as the Puppet, when they can’t even access the saferoom. And better yet, he wouldn’t be able to be the ‘Puppet’, when the physical Puppet animatronic wouldn’t be there, anymore, but scrapped with the rest of the Toys in FNaF2. For one, he’s the last and fifth character you play as, and while the other four were all in animatronics, he’s a soul, and was never lured by Shadow Freddy. Which he wouldn’t have to be, if he was Shadow Freddy all along. He’s also the one that’s cornering Purple Guy into Springtrap. It would make more sense for this to be the Puppet’s ghost child, than Golden Freddy’s. The Puppet was PG’s first victim. He’s the child that kickstarted all these other murders. So for him to be the last Purple Guy sees before he dies makes a lot of sense.